My Home and Garden: Zucchini Relish making day...it is much better than I remember. 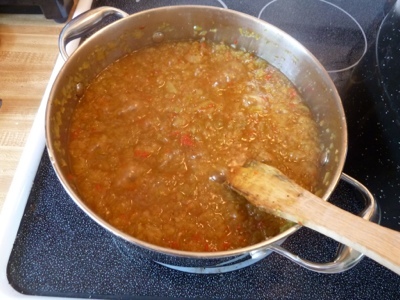 Zucchini Relish making day...it is much better than I remember. 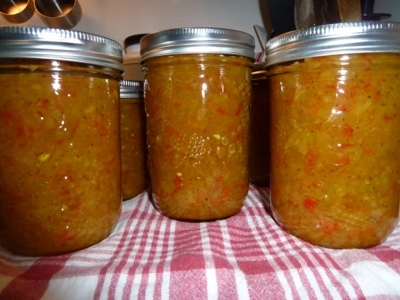 Isn't this the most beautiful relish. It is so yummy, it will be delicious as a side to potatoes. I cannot wait to try some different things with this. You can find the recipe here. All of my jars fell over and I literally called for help. Allan came to the rescue. There is nothing to hold the jars upright. They just fell over sitting on the wonky bars at the bottom. I am SOOOO getting a new rack before my next canning. Jeez...really Canner making people, did you ever try placing jars on the rack before you put it in production. Not. Those darn racks are a pain in the behind. The relish looks delicious. I just made a batch with cukes, peppers, onions and celery. I didn't think about zucchini - I'll have to give that a go next! Please do let me know if you find a canning rack producer!!! My old rack rusted and I've had zero response on inquiries, confess not tried to google yet, just did snail-mail to the old producer. Thanks for this post! 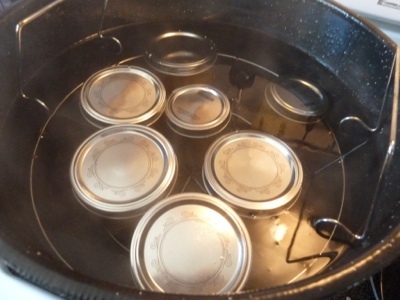 I've been looking for a canning rack for years and have only found a wonky little plastic one that will hold little jars in an imaginary, tiny canner!(?) in a "beginners kit" at grocery. Somebody must be making them somewhere...LOVED Harrowsmith. My favorite-ist Sister subscribed me years ago. Moved too many times to hold on to them, good for you! You inspire many, I assure you Erin!!! Thank you Ginny. I will post if I find something better. I'm sure I will....they can only be better. Our crawl space is very full, but I am going to tackle it soon. I cannot wait to get the Harrowsmith's out and read them.